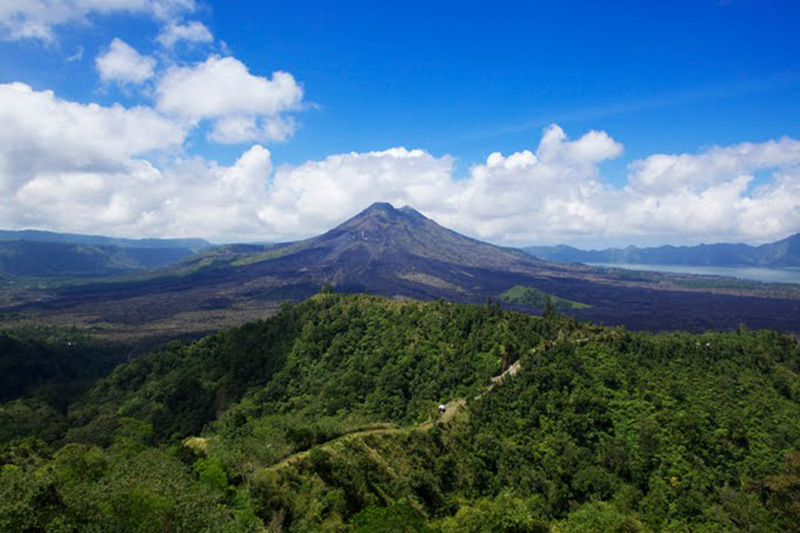 Bali Highland Full Day Kintamani Tour is a one day tour which we strongly recommend to see the beauty of the volcano Mount Batur and Lake Batur from Kintamani village. This tour is very popular among tourists, the first objective of this tour is to see the dance performances Barong and Kris dance in Batubulan, after seeing a show tour we continue towards the village of rock to see the process of making traditional painting in one house painter and afterwards our tour continue to visit to Kintamani, before reach Kintamani village we will stop at the village Tegalalang to see the beauty of the rice fields with terraces sloping and atmosphere that is cool, then we proceed to the village of Kintamani, from this village we can see the beauty of the volcano Mount Batur and lake Batur from the distance, after finish enjoy the view of volcano and lake Batur from distance then we will having lunch in this Kintamani village, while having lunch you can see the view of the volcano Batur form the restaurant. After finish the delicious buffet lunch, the tour towards to Tirta Empul Temple, the temple is often called the temple looks siring because it is located in the village looks siring, in this temple populous fountains that are believed to expel bad luck. After that we continue the tour to get to the last objects is the Goa Gajah Temple for see historic relics of antiquity and then we return back to the hotel with a very wonderfull memories in this full day Kintamani tour packages. 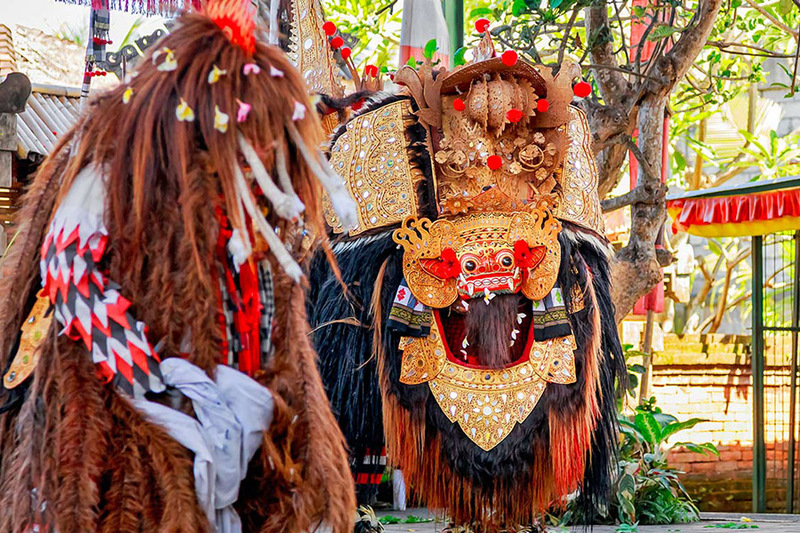 barong dance is a dance that is performed by professional dancers to introduce the culture of Bali close to history, this dance is very beautiful where you can see the curve of the hand dance the dancers are so graceful. This dance is the classic example of Balinese way of acting out mythology, resulting in myth and history being blended into one reality. 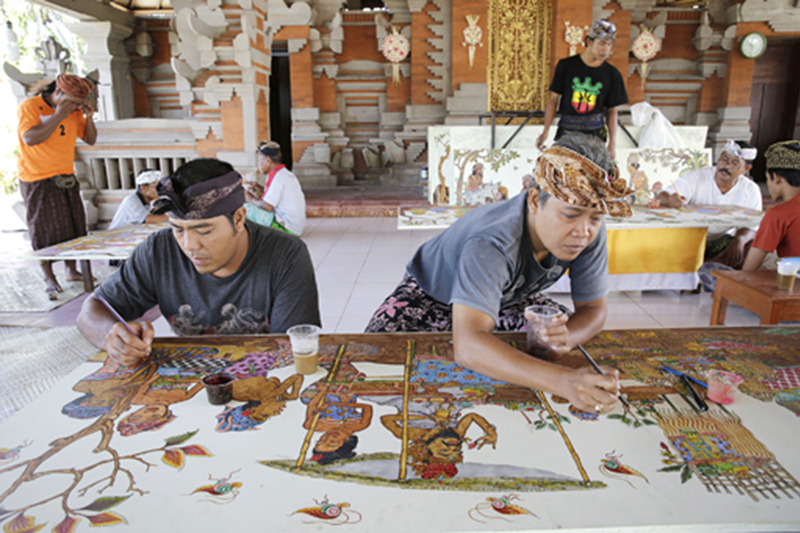 Batuan village is one of the villages where the village’s art focuses on the craft of painting, the painting is created in the village is very beautiful because it was created by an experienced painter. Here we will visit one of the painter to see how to paint and see a wide variety of paintings on display at the gallery. 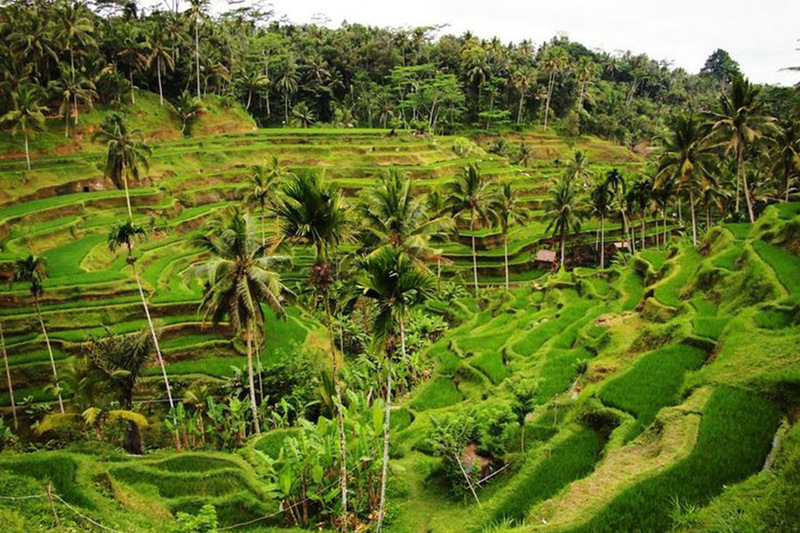 tegalalang rice paddy terrace is located in the village tegalalang, this place is very popular among tourists because tegalalang rice terrace gives a very beautiful rice terraces. In here you admire the colorful carvings of flowers, animals and other designs are displayed along the road, and of course a beautiful rice field. Kintamani village is one of the famous village with views of the volcano, Kintamani village situated at high altitude so that it becomes an ideal place to see the view of the volcano Batur and Lake Batur from a distance. We will visit this place to admire the beauty of nature is very beautiful. It is situated in the plateau area with cool weather surround it. 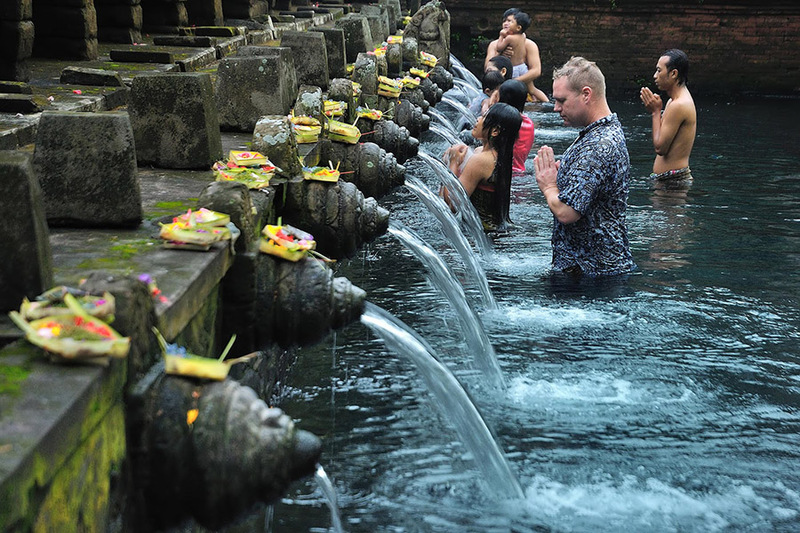 Tirta Empul Temple is one of the holy sacred spring temple which is also known as the tampak siring temple because the temple is located in the village tampak siring. Many local people come to this temple to ask for holy water or rid yourself of a negative thing to soak in the pool shower in this temple, local people believe if sacred spring is created by God of Indra. 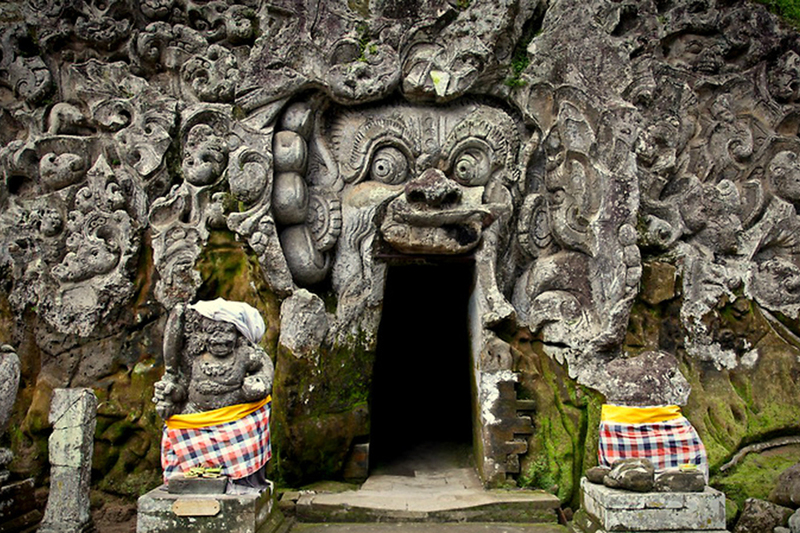 Goa Gajah Temple is a tourist place preserved because it is a relic of ancient times. Also known as the elephant cave temple because at the entrance of the cave carved elephants. we will find other ancient omissions like ancient stone idol, douche, temple and others. It owns beautiful relief with a form of face turning around to the left side.